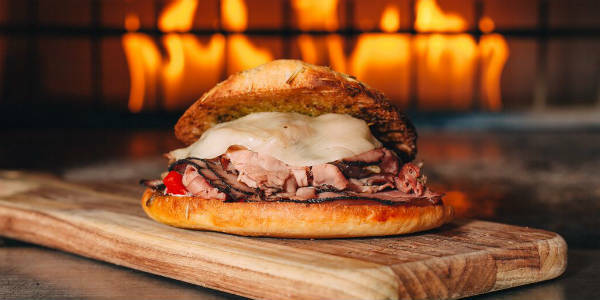 Spoleto Italian Kitchen, known for its create-your-own pastas, has officially launched a line of wood-fired artisan sandwiches (pictured above). Choose from the Italiano, Veggie, Panino Roast Beef, Prosciutto and Burrata and Chicken Parmesan and each comes with a side salad or side soup. Prices for the sandwich meals range from $8 to $10.50. Spoleto has four Orlando-area locations in Winter Park, Windermere, the Florida Mall and by UCF.